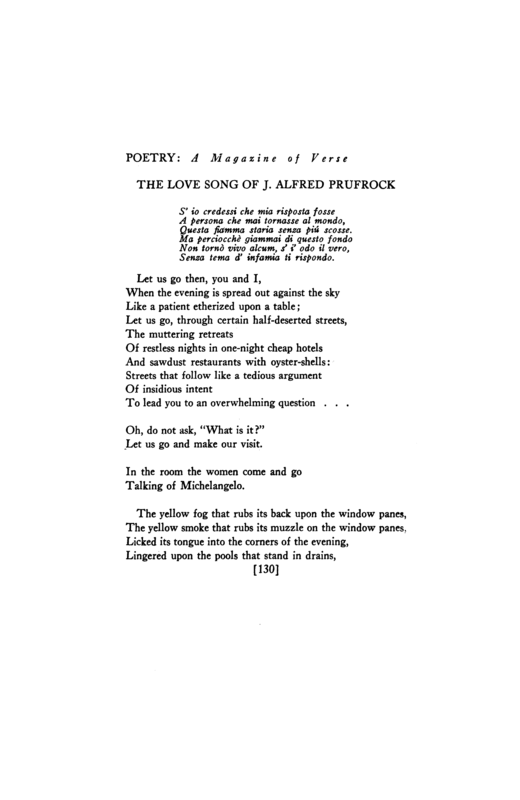 Doug and Shawn read through T. S. Eliot’s “Love Song of J. Alfred Prufrock.” Much of the problem folks have with reading poetry (especially ‘important’ poetry) is that they don’t trust themselves. We try to deal with the poem in a way that connects it to our everyday experience. You can read the poem as it originally appeared in Poetry in 1915 here. I recommend reading some of the other poems in the same issue, for the sake of contrast.